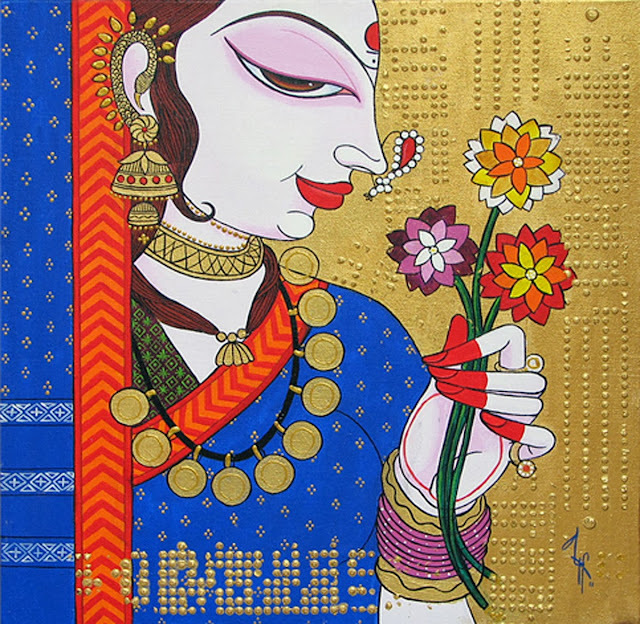 "Varsha right from her childhood she had a burning desire to script her emotions on a canvas through the medium of pictures and colours. 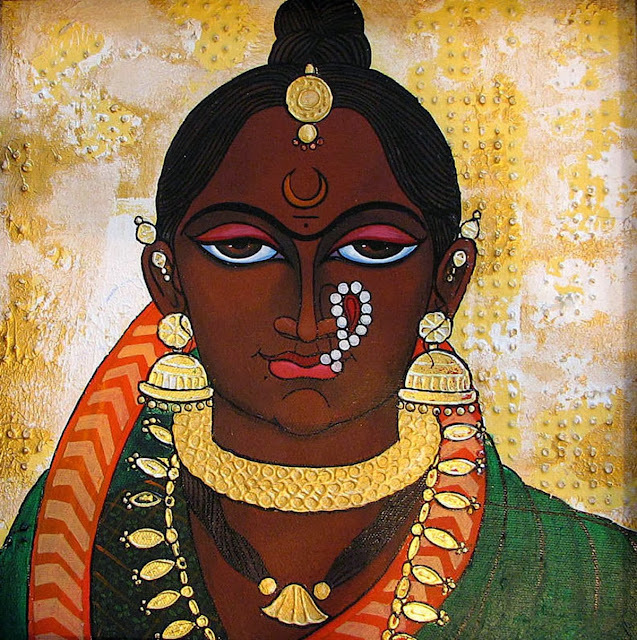 She was blessed with imagination and had an extraordinary talent in mixing and making of colour schemes. 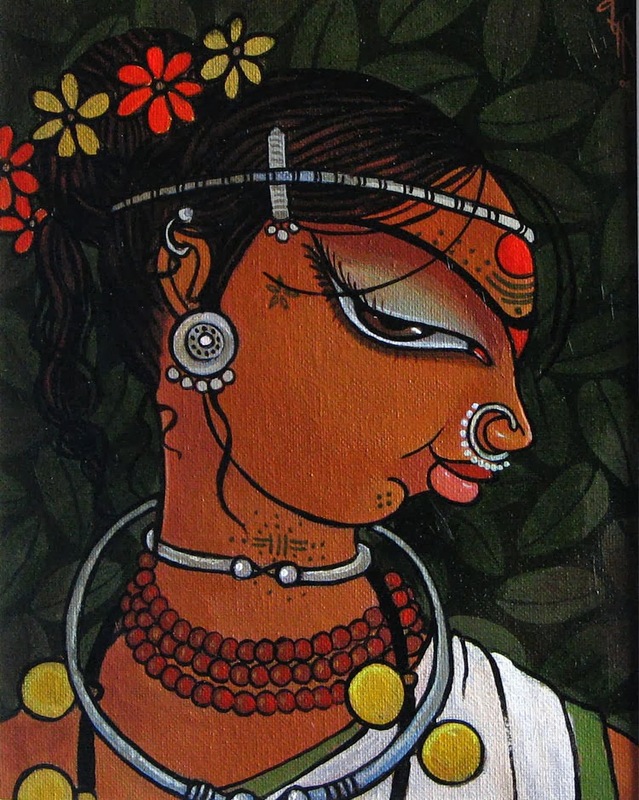 She used her talent to the maximum which is clearly reflecting in her artwork. 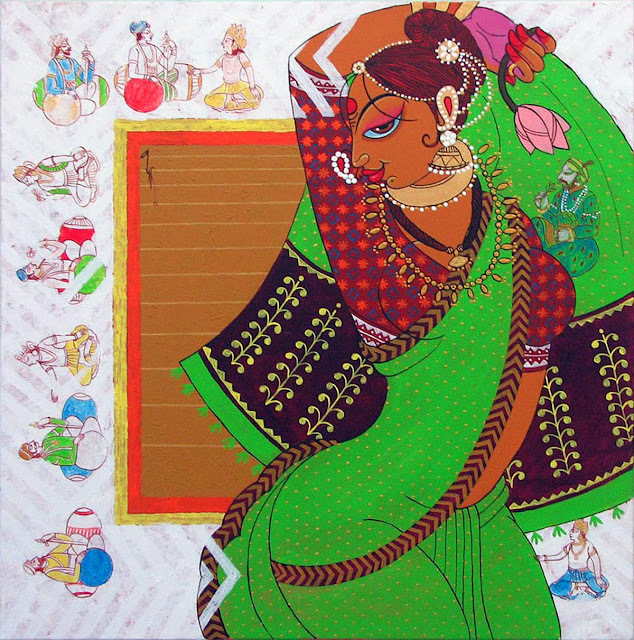 Her flair and genius could not go unnoticed and fetched her widespread recognition and several prizes from the acclaimed Art institutes of India. 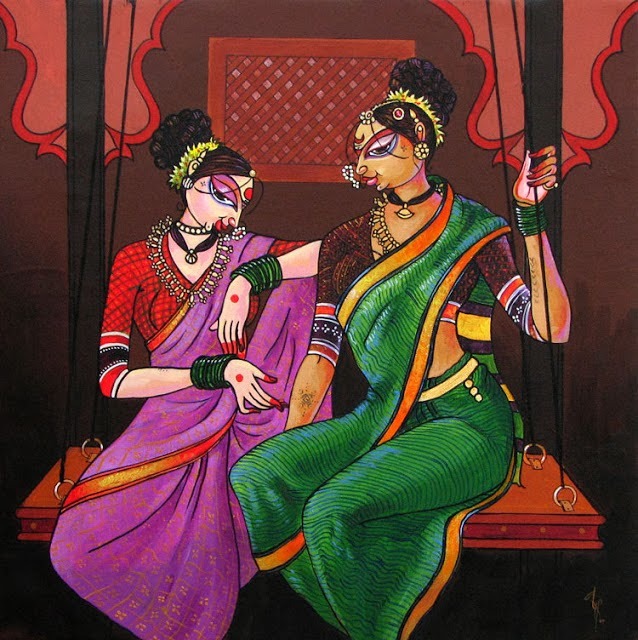 Her vibrant colours and lively paintings constantly keep hearty dialogue with the connoisseurs. 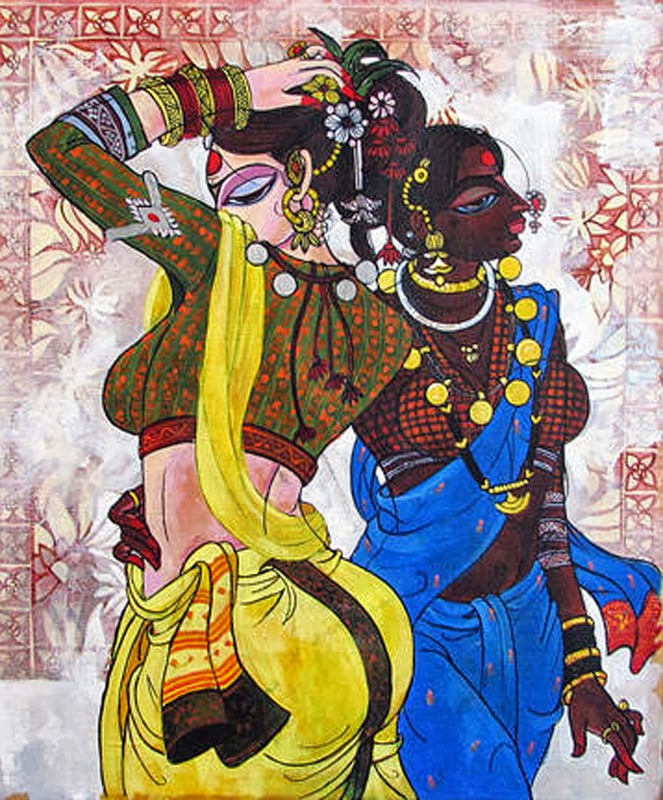 Her colourful paintings display the series of lady subjects with unique compositions. 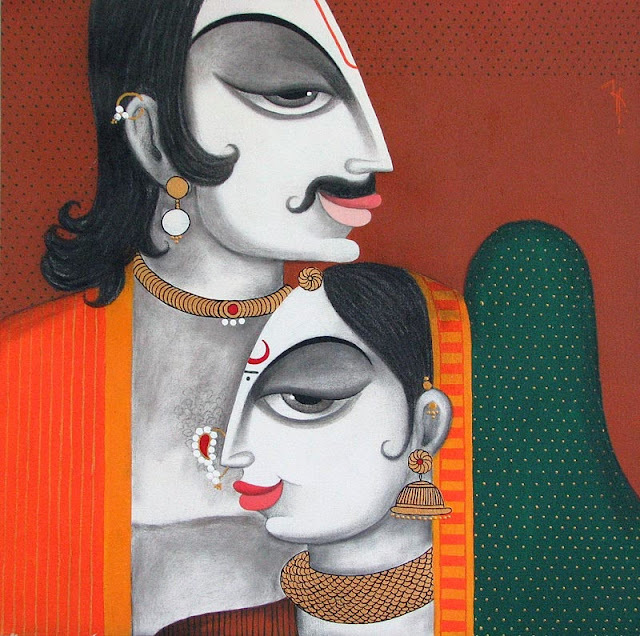 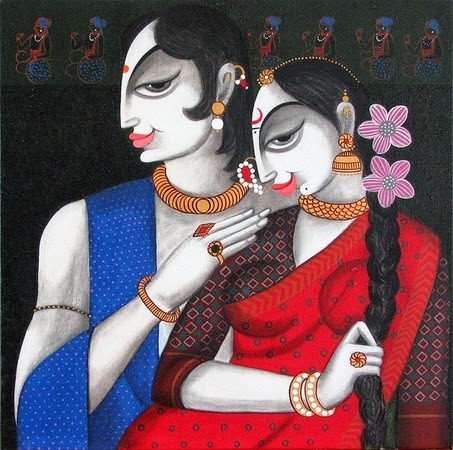 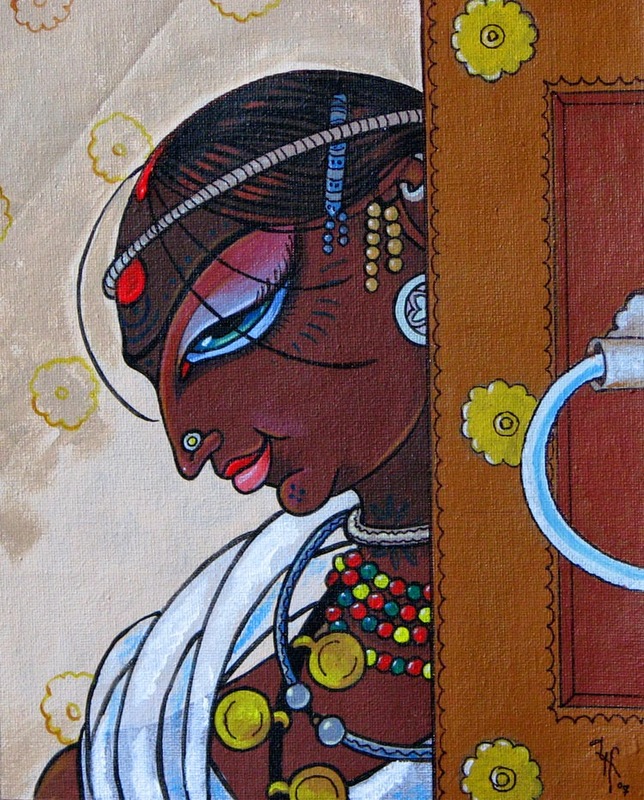 Inspired by Miniature Art of Ancient India Varsha has developed her own style. 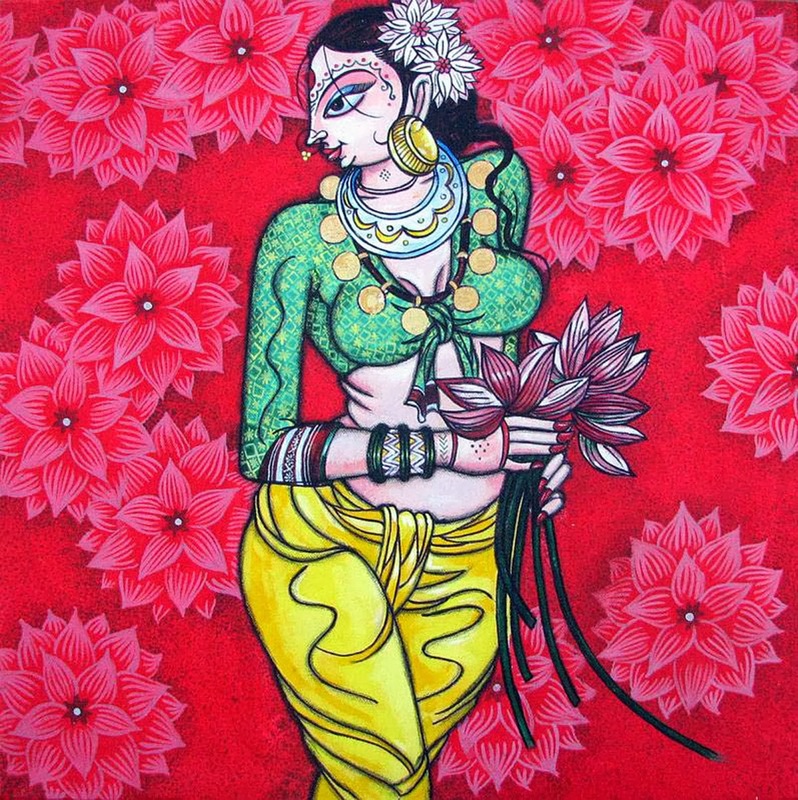 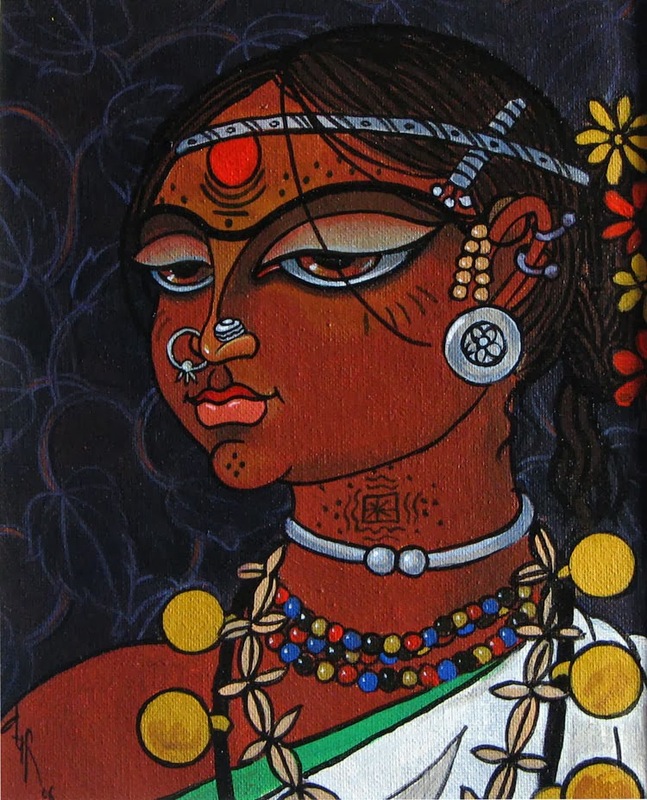 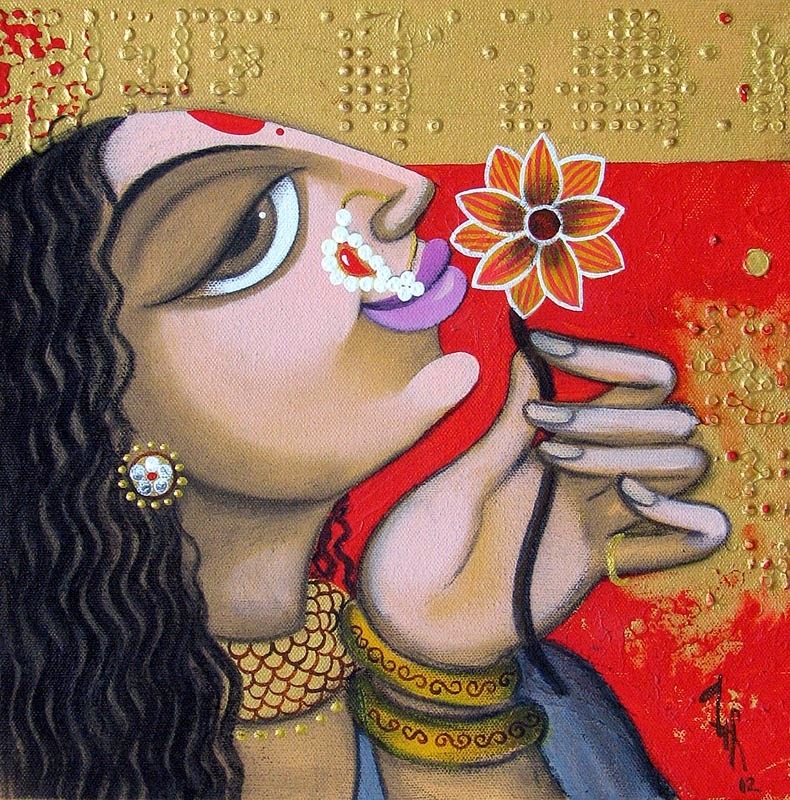 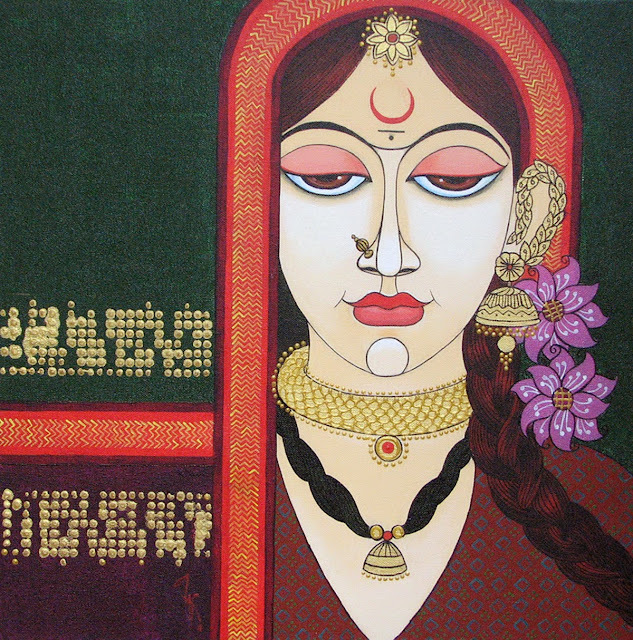 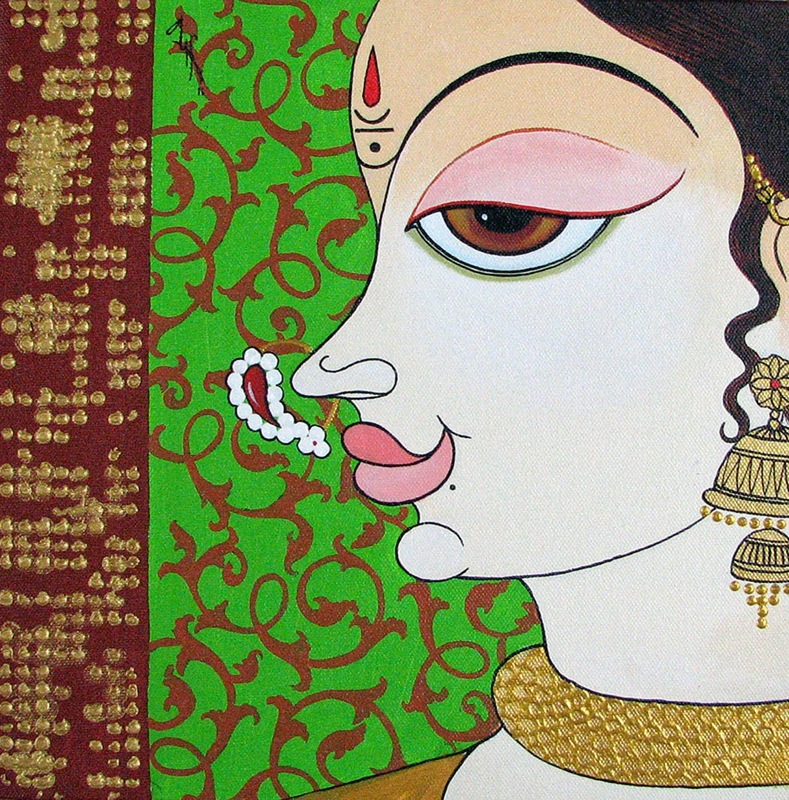 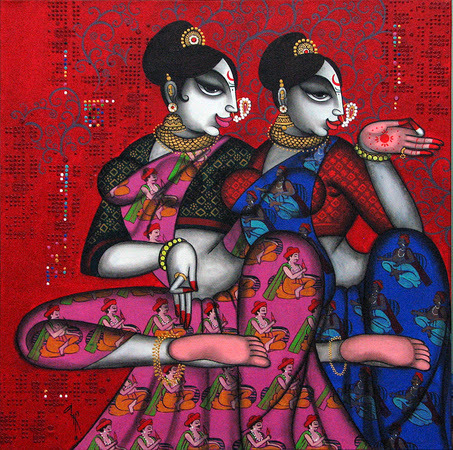 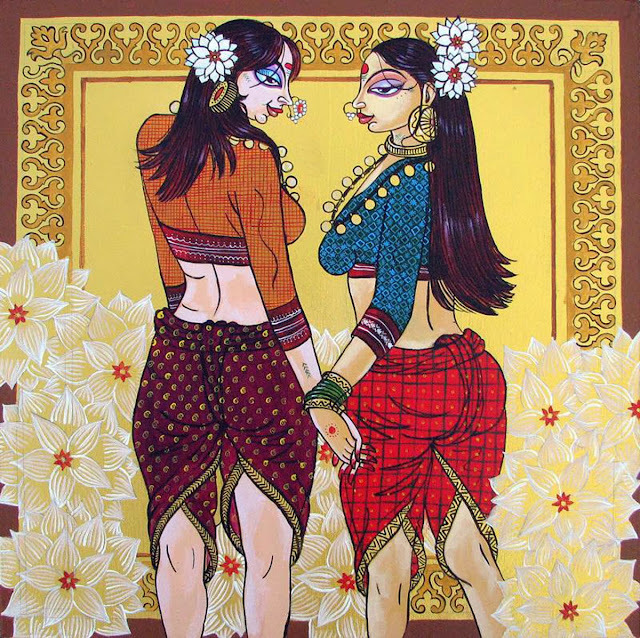 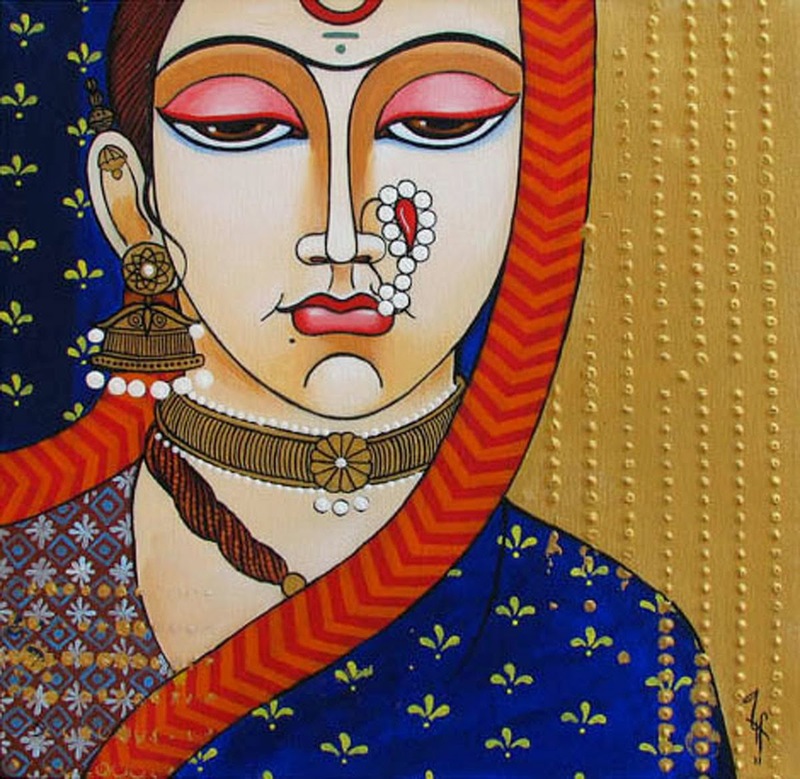 With bright colours on canvas Varsha’s “Women” series depicts the rich culture and tradition of India"